Heat 4 cups of the water to boiling. In large heatproof bowl, place tea bags; pour boiling water over tea bags. Cover with foil; let steep 15 to 20 minutes. Remove and discard tea bags. Add sugar to tea; stir until sugar is dissolved. Pour into large heatproof pitcher. Stir in remaining 4 cups cold water. Refrigerate until chilled. Serve tea well chilled over ice, garnished with lemon and/or mint. 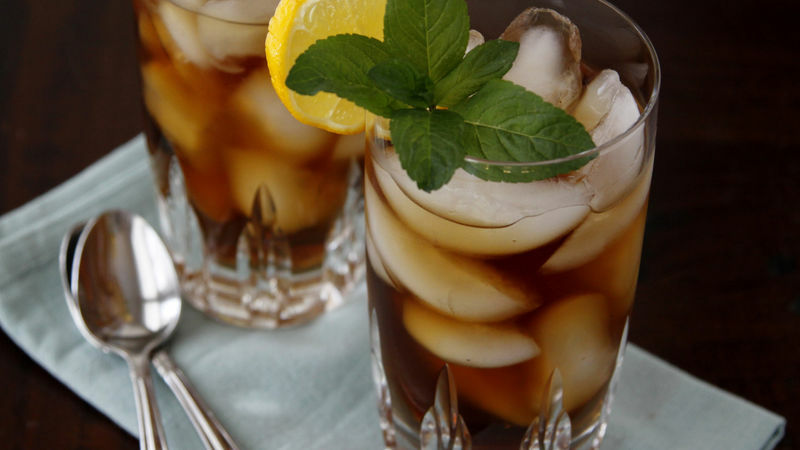 If you can’t find tea bags labeled “iced tea” at your grocery store, use any type of black tea bag. If family-size tea bags are available, substitute 2 family-size bags for the 6 regular-size bags. If you like your tea super-sweet, use 1 1/2 cups of sugar. If you’re preference isn’t as sweet, only add 1 cup.